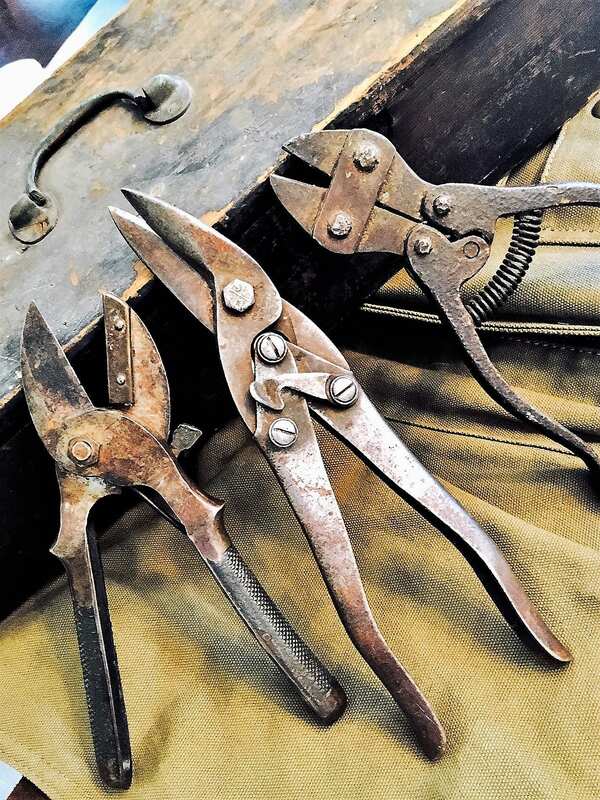 A nice trio of vintage snips and pliers. These are likely from the 1950s and have just the right amount of patina on them to lure the steampunk collector or to appeal to those decorating the perfect man cave. These solid pieces measure between 8-10 inches and would look great in an antique tool box, peg board, or on the wall as industrial art.